Three, two, PUN – it is finally time! 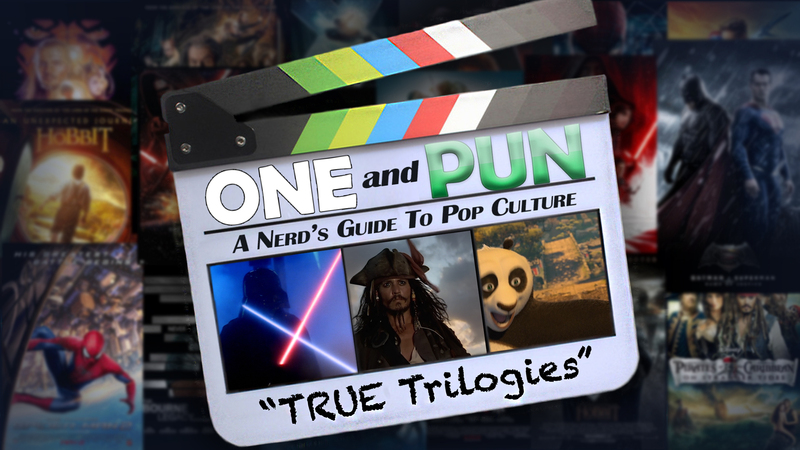 After months of prep work and development, I am finally releasing the first episode of ONE AND PUN: A Nerd’s Guide To Pop Culture! The first episode is all about TRUE TRILOGIES, and what exactly that means, since I have spent YEARS explaining to people that having 3 movies DO NOT MEAN it is a trilogy! Learn all about cliffhangers, mcguffins, hidden backstories, story arcs, etc, and what films are ALMOST trilogies, but do not quite make the cut. And of course, the video is full of some of the best/ worst puns you have ever heard! Check it all out at AddictedMedia.net or OneandPun.com! And as we always ask in the channel, make sure to share with your friends, to subscribe, and please, feel free to leave any comments you have below! I’d love to hear what your favorite/ most GROAN-WORTHY pun was from the episode!